Hired by the Marin Community Foundation to identify a strategy for spending down the Earth Day Everyday Fund. 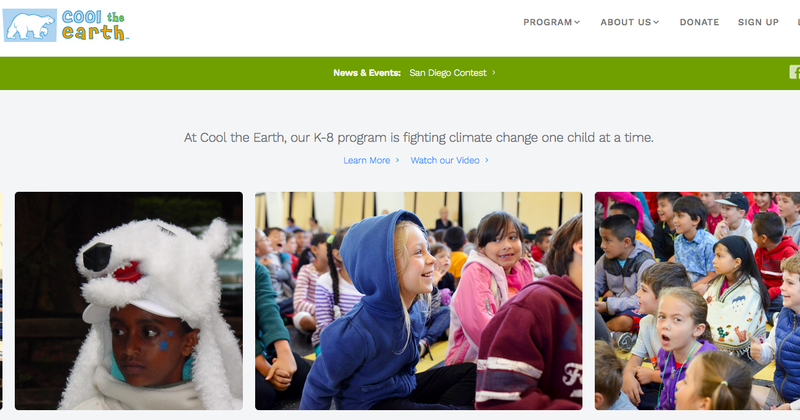 After interviewing over a dozen Marin-based NGOs, identified Cool the Earth, a school-based carbon reduction campaign as a new program ready to scale. Managed a partnership between Cool the Earth and two local partners, the Marin Conservation Corps (MCC) and Strategic Energy Innovations (SEI), launching the program in 24 Marin schools, canceling more than 700 cars’ worth of emissions. Cool the Earth has grown the program with great success, educating youth on global warming and inspiring parents to take simple actions at home to reduce carbon emissions.